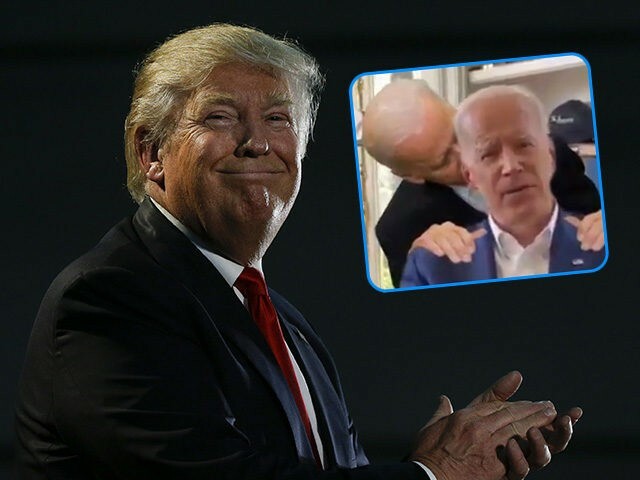 President Donald Trump shared a meme mocking Joe Biden on Thursday after the former Vice President tried to explain his habit of grabbing and touching people inappropriately. Biden published a video on Twitter on Wednesday indicating that he had received the message from several different women accusing him of making them uncomfortable. Biden’s serious video was edited by meme-master Carpe Donktum to include images of the former Vice President in the background sailing into the room and reaching up to grab him by the shoulders. “WELCOME BACK JOE!” Trump wrote on Twitter, sharing a copy of the popular meme.